The 2019 Road Atlases are here! 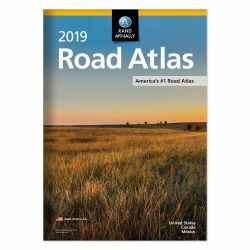 Our most popular road atlas created by Rand McNally, this atlas is larger print and easy to read. Maps of Every US State and Canadian Provinces. Detailed maps of over 380 North American Cities. On-page index of cities and towns. "Best of the Road" itinerary suggestions. Tourism Contacts and Mileage Chart.